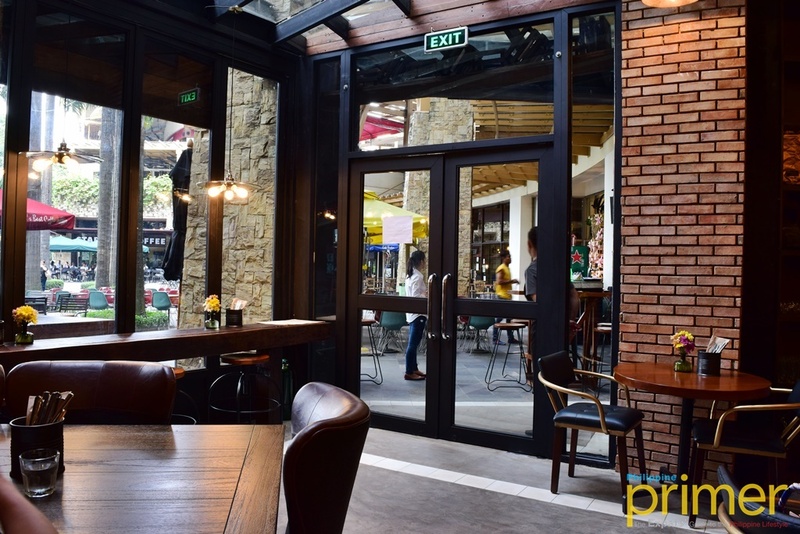 Amid a multitude of coffee shops and restaurants at the business and shopping district of Makati, Single Origin keeps its game strong in the local food and coffee scene by opening a third branch right in the city’s prime shopping complex, Greenbelt. It didn’t take long for people to see beyond Single Origin as a coffee shop. 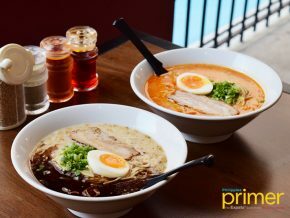 Single Origin is, in fact, not just a place for a special coffee experience but also a one-stop stomping ground for people who seek comfort food, wine, beer, and cocktails. 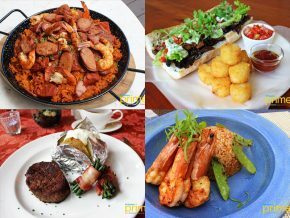 The food at Single Origin notably uses the finest ingredients integrating with flavors that are refreshingly familiar to the Filipino palate. A must-try for breakfast food lovers is the Salted Caramel Choco A La Mode French Toast (Php 350), which features three fluffy cubes of the well-loved Brioche bread, topped with homemade vanilla ice cream and salted caramel sauce. 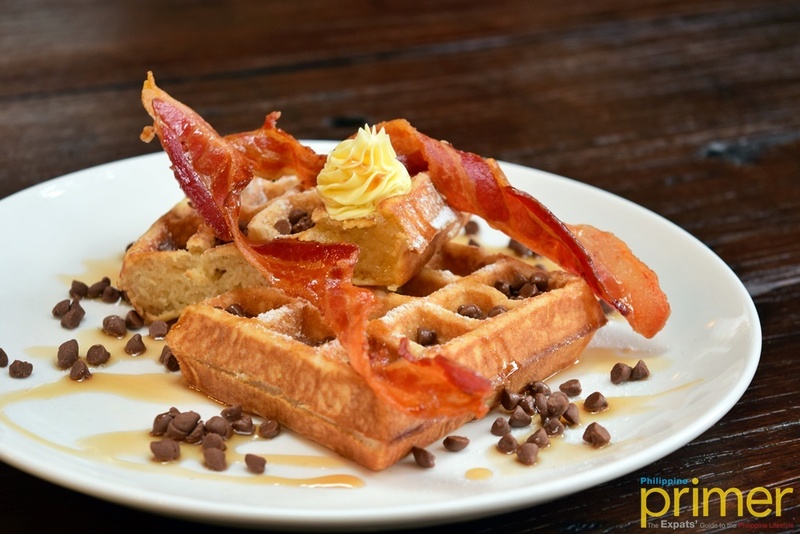 If you want the classic crispiness of waffles, have their Choco Bacon Waffle (Php 395), a good breakfast meal that will power you up but won’t make you feel stuffy. French fry lovers will also love the Chori Fries (Php 275), a plateful of fat hand-cut fries mixed with slices of Chorizo Pamplona, seasoned with parsley, parmesan cheese, and salt and pepper. Be sure to eat it right after it’s served to enjoy the fresh taste! 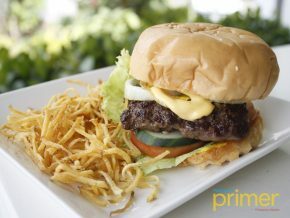 The Brooklyn Steak and Frites (Php 995), meanwhile, is their latest addition to the menu. 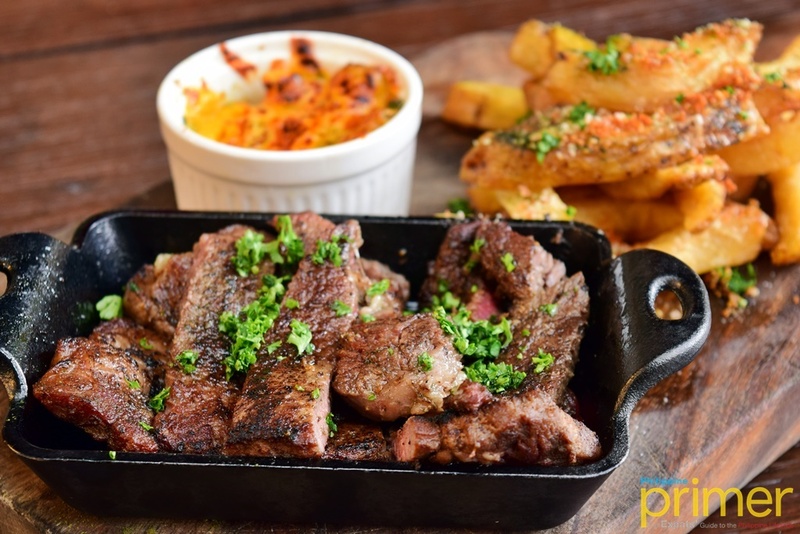 A relishing meal for the hungry and those craving for good steak, this dish is made with Grade 8 Brooklyn rib-eye steak that’s cooked medium to medium-well to maintain the crusting of salt, pepper, and herbs. The steak is a perfectly delightful meal for people who like their steaks really tender and easy to eat. 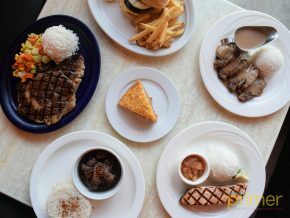 Every slice of the beef is effortless, and every bite is as cheering as eating a piece of cake. This dish is served with their homemade fries and baked spinach and bacon. 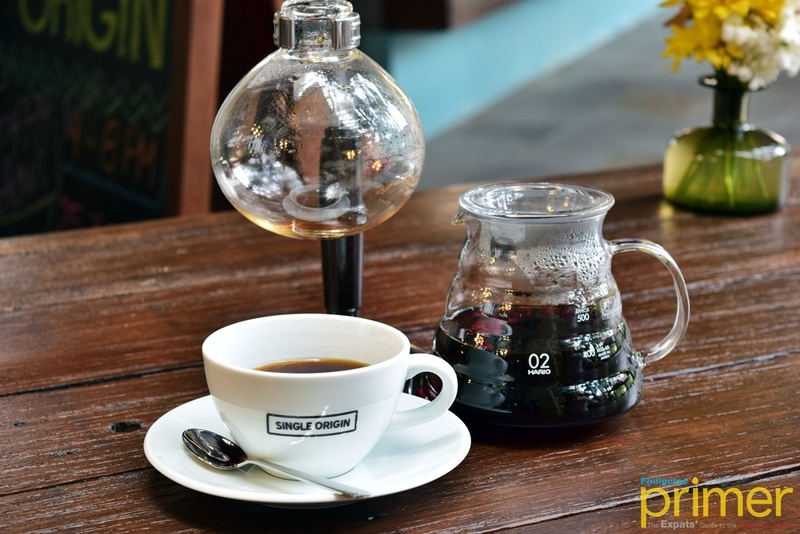 The Syphon brewing method is a Japanese traditional way of brewing coffee in a visually appealing vacuum glass pot. This process is said to extract the full flavors of coffee compared to simply boiling it. 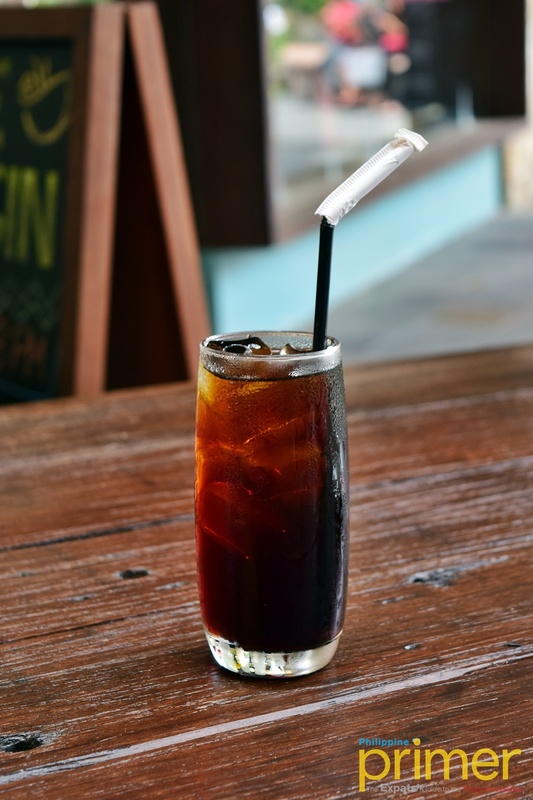 If you need a stronger boost for the day, try the refreshing 18-hr Cold Process Iced Coffee (Php 150). It’s stronger than your regular iced Americano. If you want something creamy and delicious, sip on a hot cup of Vanilla Latte (Php 160). 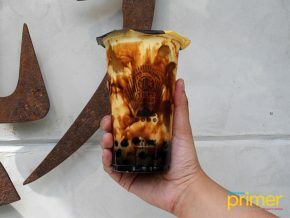 Single Origin’s newest branch at Greenbelt 3 has the same familiar vibe as its precursors in BGC and Rockwell, although, noticeably, it particularly highlights Kenya (one of the sources of their single-origin coffee) through a big yet subtle wall painting of the country’s flag high up on one wall. Its trademark interiors that incorporate strong industrial elements with upscale furnishings engender warm and cozy feelings, especially with the abundance of brick and wood surfaces. While the competition is strong at a shopping center like Greenbelt, this neighborhood café strongly stands out because of the feelings it gives to visitors once they step inside. Perhaps due to the fact that Single Origin has generous vertical space, the atmosphere inside this café is laidback, unhurried, and airy. 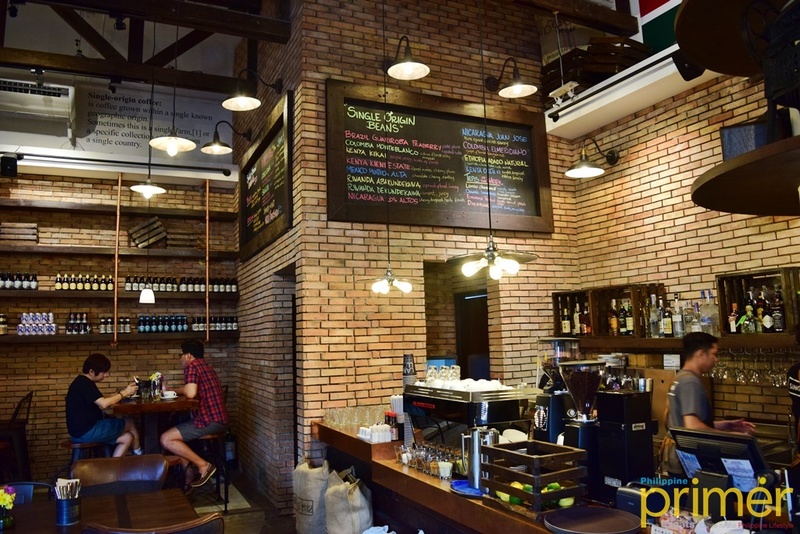 The height of the place does not go to waste because of the wall-to-ceiling wooden shelves that showcase a wide selection of fine wines on one side, imported craft beers on another, and various coffee products and brewing machines on the other. Single Origin is one of the best options at Greenbelt for a restful breakfast (or brunch), a mellow after-work hangout, and a casual catch-up with friends over coffee and cocktails. 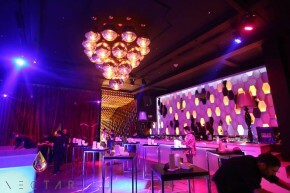 Now, take your friends and family, and feel the difference in the ambiance of Single Origin at Greenbelt! 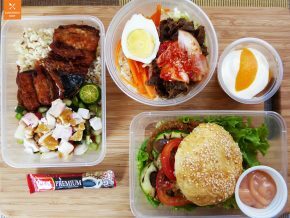 Starting this month, you can take advantage of three promotional offers at the Greenbelt branch in celebration of its opening. For only the whole month of December at Single Origin Greenbelt, you can take advantage of Wine All You Can at Php 699 (maximum of 3 hours, available for walk-ins), Beer Dough Pizzas at Php 199 (via Booky Reservations), and a free cup of Single Origin Coffee for a single-receipt purchase worth at least Php 1,500.